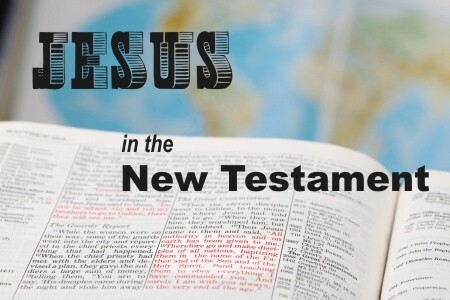 How Was Jesus Described in the New Testament? As Christians, we are blessed to have access to the completed Word of God in both the Old and New Testaments. For the Old Testament believers, they had the signs and miracles from God and the testimony of the prophets that pointed them toward a Messiah to come. For those that were alive during the times of the New Testament, they had the Old Testament along with the signs and miracles from God that confirmed a Messiah that came and will come again. Likewise, believers since then have the advantage of knowing how Jesus was described in the Old and New Testaments. This additional description in the New Testament gives us a fuller and deeper understanding of the importance of Christ in the life of the believer. Among the many things that the Bible says about Jesus, He summed them up with the words, “I am the way, the truth, and the life: no man cometh unto the Father, but by me” (John 14:6). These words point out four foundational facts about Jesus that can be explained by many other supporting verses. However, just as Jesus was the Word of God that lived in the flesh on this earth, each of these facts have practical application in the life of the believer. “But of him are ye in Christ Jesus, who of God is made unto us wisdom, and righteousness, and sanctification, and redemption: That, according as it is written, He that glorieth, let him glory in the Lord” (1 Corinthians 1:30-31). The truth applied to the believer is demonstrated in wisdom. Wisdom combines the truth of the Word of God with the ability to understand God and His Word (1 Corinthians 3). This is described as not being the “wisdom of this world, nor of the princes of this world, that come to nought: But the wisdom of God in a mystery, even the hidden wisdom, which God ordained before the world unto our glory” (1 Corinthians 2:6-7). This wisdom is not “cunningly designed fables” authored by men, but a “more sure word of prophecy” that is superior to mortal accounts. It is the result of the Holy Spirit moving men to speak and write the Word of God as He pleases (John 14:26; 2 Peter 1:16-21). Practically applied, this wisdom makes us wise unto salvation through faith in Christ Jesus (2 Timothy 3:15). The way applied to the believer is demonstrated in righteousness. God’s Word tells us that our righteousness comes through our faith in what God says in His Word (Genesis 15:1-6; Romans 4:1-16). Our righteousness is declared by God over us because of what Christ did for us on the cross (Romans 15:7-21). Because of what Christ did, we have a way to the heavenly Holy of Holies where we can live for an eternity in the presence of God (Hebrews 9:1-28). This way to salvation is written in God’s Word and leads to the only way that can provide righteousness to the believer (Acts 16:13-19; Acts 18:24-28). The life applied to the believer is demonstrated in sanctification. When we are declared righteous by God, He gives us the gift of the Holy Spirit of promise, Who guarantees our inheritance and seals us until the day of redemption (Ephesians 1:5-14; Ephesians 4:30). The Holy Spirit of promise gives us the power to walk in newness of life as born again believers and make Jesus the Lord of our lives (Romans 6:1-6; 1 Corinthians 12:3). This power results in our sanctification or holiness as we yield our lives more and more to the leading of God the Holy Spirit (1 Peter 1:15-13; 2 Peter 3:9-13). This sanctification is progressive in that it results in the perfection of the believer as Christ is perfect the day that the believer is redeemed and stands face-to-face before God (Hebrews 6:1; Ephesians 4:11-13; Colossians 1:28; Philippians 3:9-16; 2 Timothy 3:16-17; 1 Peter 5:10). The ability to come to the Father applied to the believer is demonstrated in redemption. In some areas of the United States, if someone purchased soft drinks in bottles, a deposit was paid on the bottle. When the soft drinks were consumed, the empty bottles were redeemed and the buyer received the deposit money back from the seller. We are purchased by the blood of Christ and His Spirit is given to us as a non-refundable deposit (Ephesians 1:12-14). The day of redemption is the day that we stand before God. It is provided to us only through Christ, Who died for us so that by His blood we could be purchased and later literally redeemed (Romans 3:23-24; Romans 8:17-23; Galatians 3:13; Colossians 1:9-22). Until then, we wait for our redemption and endure the trials of our faith so that we may continue to grow and positively influence others for Christ (Romans 5:1-5; James 1:1-12; Revelation 5:6-14). Believers have the advantage of knowing how Jesus was described in both the Old and New Testaments, which gives us a fuller and deeper understanding of the importance of Christ in the life of the believer. The New Testament describes Jesus as our wisdom, righteousness, sanctification, and redemption. It is only through Him that these truths can apply to our lives as believers. Related reading: Who is Jesus? Next post: What Are The Seventy Weeks Of Daniel Prophesied In The Bible?